Danish Qazi | TPL Trakker Ltd.
Mr. Danish Qazi is a UK qualified Barrister, having wealth of experience in Corporate/Commercial laws. In the year 2009 he completed his LLB(Hons.) from the University of Leeds, LLM in International Financial Law from University of Manchester and Bar-at-Law from Cardiff University, where after he was admitted as a Barrister in the Hon’ble Society of Lincoln’s Inn. Mr. Qazi Hestarted his professional career with Orr, Dignam & Co., a law firm widely known for its corporate work and commercial litigation and worked there for 4 years. 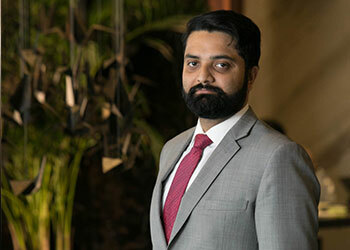 At Orr, Dignam & Co., he appeared in international arbitration and High Courts of Pakistan.He later joined MCAS&W, which is a specialist litigation law firm and worked as a Senior Associate appearing in cases pertaining to Service, Tax, Revenue, NAB, Power Disputes and other criminal cases. Subsequently he joined Express Media Group as Head of Legal, before entering into private practice. Prior to joining TPL Corp Ltd., Mr. Qazi was doing his private practice with the name “The Law Offices of Danish Qazi” and in his own practice, Mr. Qazi has represented/advised a range of listed companies and individual local and international clients.